The Rhett House Inn is number one out of three recommended B&B's near Savannah and Charleston. 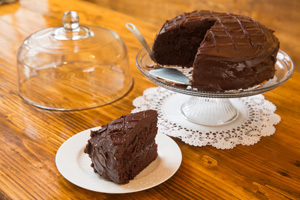 Coast Magazine’s Reader’s Choice 2013 Winner! Centrally located in the Historic District, just steps from the waterfront and all shops, tours and restaurants featuring fresh local caught seafood, the circa 1820 Rhett House Inn, awaits your romantic getaway with that special someone in your life or a Southern Style Girl’s Weekend or Golf Getaway. Lots of wonderful family friendly options this summer too! From the new playground on the Waterfront Park, to the dolphin watching trips on the ‘Prince of Tides’ pontoon boat at the nearby Marina, to horse drawn carriage rides, or a scenic drive to nearby Hunting Island with it’s historic lighthouse to climb. Elegance, value and a welcoming staff are yours to enjoy. 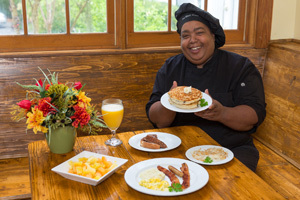 We offer a delicious complimentary Southern breakfast every morning served to you in the dining room or on the veranda. 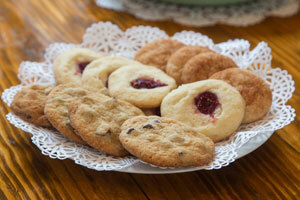 Homemade cookies, lemonade and ice tea are offered throughout the day for a sweet pick-me-up. Hors d’oeuvres in our living room from 5:30pm-6:30pm and homemade desserts served in our kitchen on your return from dinner from 7:00pm-9:00pm. Wi-Fi, bikes, tennis, and pool beach towels and chairs. LGBT welcome! Ask about our pet friendly room.